Landscape Gardeners West London is a solid pick for any gardening and landscaping need. 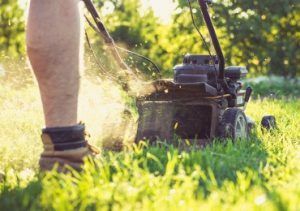 We are a company with years of experience in this business and we know what it takes to care for a garden or bring a tough project to reality. Our gardeners fully understand the challenges and the hardships of the work. Yet, they are perfectly capable of overcoming them with ease. This is what we have trained them for and what our company is all about. It doesn’t matter whether you need garden maintenance or you want to have us build a cool garden from scratch. Our portfolio includes any such services and a lot more. We have had the chance to improve on every single aspect of our work and it is great to see our clients reaping the rewards. If you have recently moved to a new home and you want to improve the garden, you will be glad to hire us. We will send our notable experts to observe the site and do a preliminary plan. We will then discuss all of your plans and requirements, till we have a solid layout of the garden. Of course, our professionals will not just sit there, but also offer our expertise. Once all of that is done, we will present a final estimate and prepare the project. Upon your approval, we will go on to prove why we are such a highly-respected company. You can be sure the job will be completed to the highest standard within the given timeframe. If you have already established your garden, you may just need a little help with gardening. After all, the amount of work you need to invest may often get a little overwhelming. Lawn care, pruning, hedging, weeding and a lot more you can just leave to us. 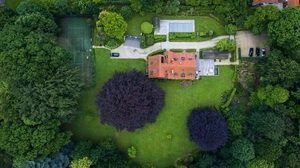 Landscape Gardeners West London provides the gear and the well-trained professionals needed to address these chores quickly and without any problem. Soon after they begin their work, you will know that you have made the right call to get us on the case. The best part is that a single call on 020 3984 6590 is enough to hire our gardeners. You really shouldn’t hesitate any longer and contact us now. You will not regret it. Hire the best local gardeners in West London. Our company is focused on providing the best gardening and landscaping services you can ever wish for in West London. We guarantee that we will do everything in our power to get the job done without any delay. When you contact us on 020 3984 6590, we will quickly work with you on the fine details and address the job right away. It won’t be long before you know you have made the right call to hire us. Pick up the phone and contact us on 020 3984 6590 today. Landscape Gardeners West London is the best company for all of your gardening needs!